Franklin "Moose" Finbar is a zoologist and weapons specialist in Jumanji. The movie narrates the story of four teenagers finding a vintage video game version and getting sucked into its jungle setting. Franklin "Moose" Finbar, portrayed by Kevin Hart, is Fridge's avatar. 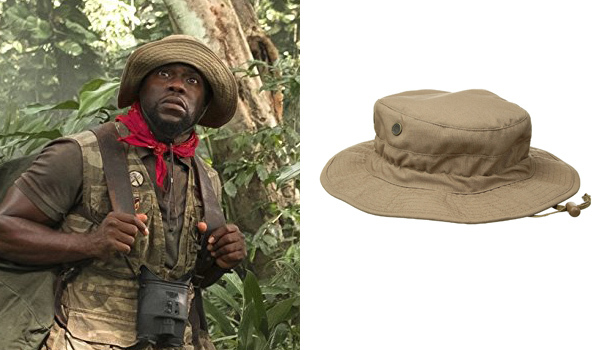 The hat that Kevin Hart wears in Jumanji for his role as Franklin "Moose" Finbar is a military boonie hat in coyote brown. It looks a lot like the Tru-Spec Boonie. 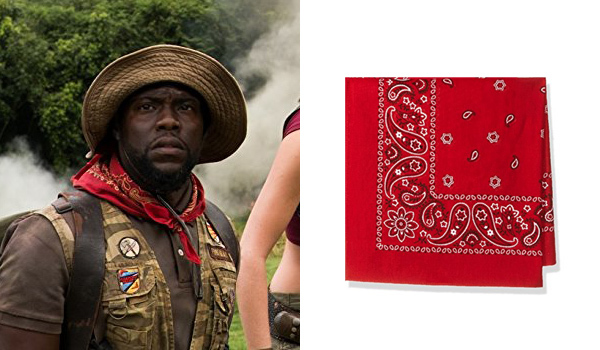 The bandana that Kevin Hart wears in Jumanji for his role as Franklin "Moose" Finbar is a standard red bandana. Wear it around your neck and make a simple knot. 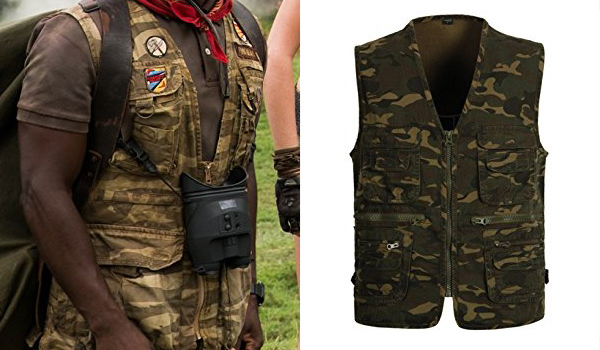 The jacket that Kevin Hart wears in Jumanji for his role as Franklin "Moose" Finbar is a sleeveless hunting/military camo jacket. This outdoor vest is a very close match. 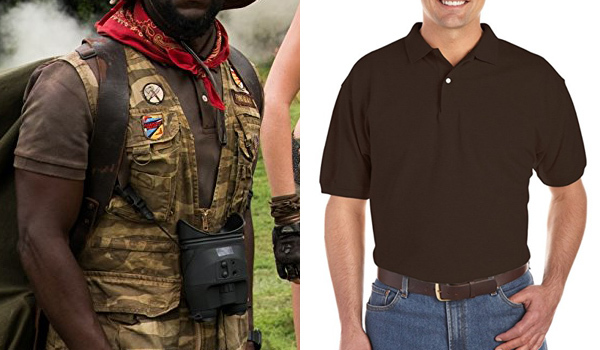 The shirt that Kevin Hart wears in Jumanji for his role as Franklin "Moose" Finbar is a simple brown polo shirt with white buttons. 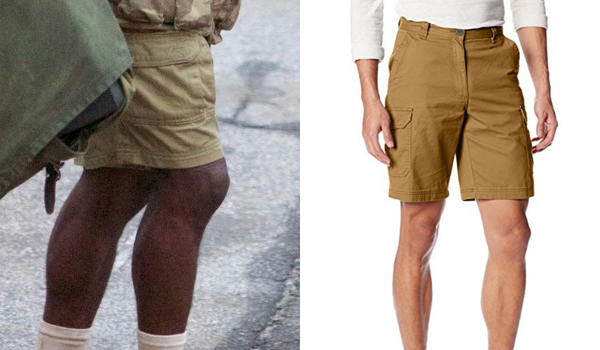 The shorts that Kevin Hart wears in Jumanji for his role as Franklin "Moose" Finbar are coyote cargo shorts that fit right above the knee. 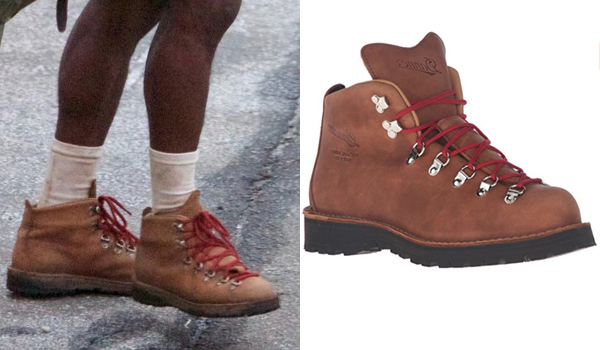 The shoes that Kevin Hart wears in Jumanji for his role as Franklin "Moose" Finbar are coyote hiking boots with red laces. They are Danner Clovis hiking boots. 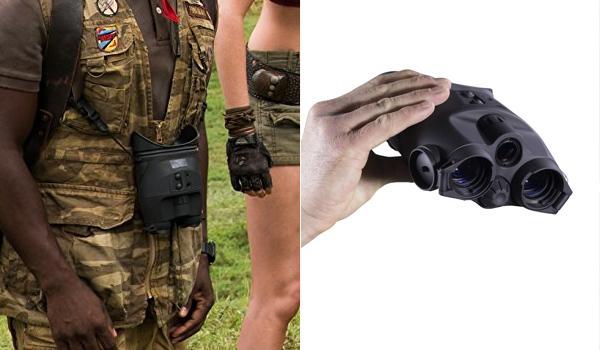 The binoculars that Kevin Hart uses in Jumanji for his role as Franklin "Moose" Finbar are black nightvision goggles. They are Firefield Tracker 1x24 Night Vision Goggle Binoculars.